Integrated engineering for a major adaptive reuse urban infill project for a nonprofit organization redeveloping a formerly blighted area. An existing cigar factory was converted into a LEED Silver Certified technology building with loft-style offices. 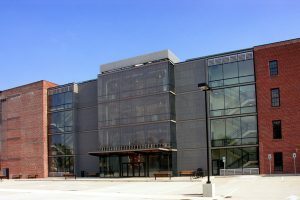 This project received the “Overall Excellence” award from the Green Building Association of Central Pennsylvania as well as awards from the 10,000 Friends of Pennsylvania, York County Community Foundation, and American Institute of Architects.